OBHC continues to welcome many new additions to the cabin as well as many new "partners" in our mission. Take a look at the latest video regarding Operation Black Hills Cabin on EYE ON KELOLAND! A Big THANK YOU to Jason and Amanda Meyer and Matthew Holsen of KELO TV. Go to the YouTube video or watch it on this website under the IN THE NEWS tab! Awesome and very informative! 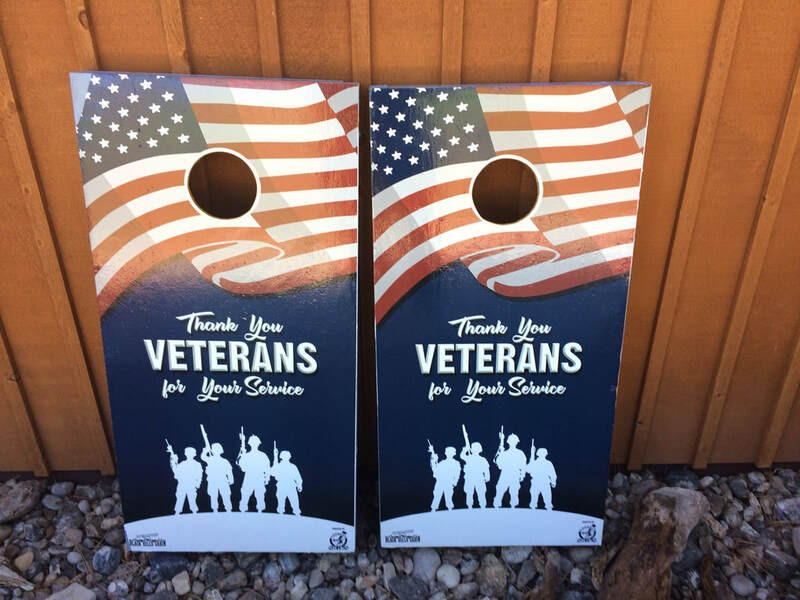 THANK YOU to Phil Geenan of Custer for the donation of the corn hole game. Also a big thank you shout to Conrad Big C Signs who graciously painted the game. Several families have already spent hours enjoying each other in friendly competition. Another successful Car Show at Lake Area Technical Institute Automotive Department! THANK YOU! ​Due to the generosity of GLEN CYPHERS, we now proudly display the appropriate flag representing the branch of service in which each of our veterans have served during their week with us. This has been a very nice "welcoming touch"! ​Thank You RICK NEHLS for the "new home" for our bird friends! Your hand crafted bird houses are awesome! The students at South Dakota School of Mines and Technology along with the 34th Aircraft Maintenance Unit at Ellsworth Air Force Base have teamed up to help OBHC with the development of the Healing Hike along with this new metal sign which proudly hangs on the cabin. These are two great additions to OBHC! ​Sarge, our bronze guard dog, is loved on by all the children! 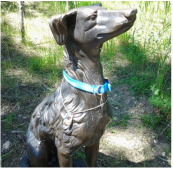 He carries out his duties faithfully each day by standing guard at the entrance of the Healing Hike. Sarge was donated by Christy Chamberlin of Custer, SD. The students at Lake Area Technical Institute in Watertown, SD, recently used a 40-point checklist to thoroughly inspect over 60 vehicles brought in by the public in their annual Car Care event. Proceeds raised in the sum of $1,012 were donated to Operation Black Hills Cabin. What a great event and turnout! THANK YOU LAKE AREA TECH!! 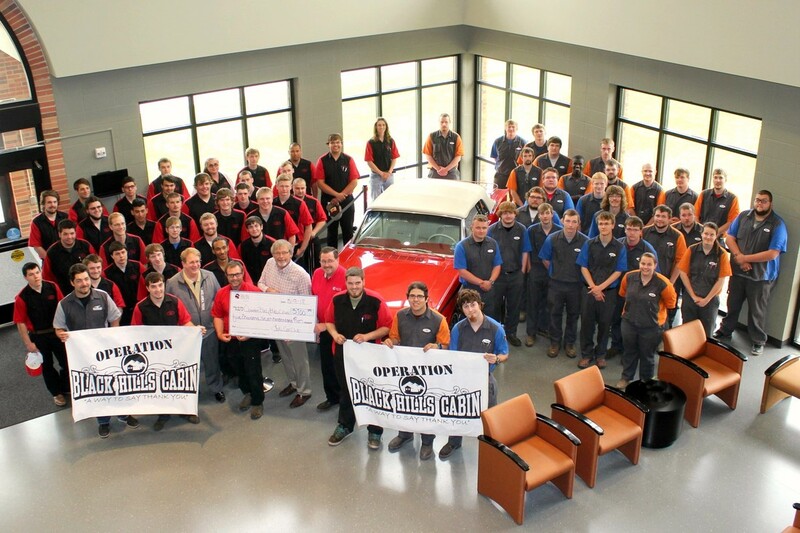 In addition, they have chosen Operation Black Hills Cabin to be the recipient of their fund raising efforts in both their Car Care event as well as their Car Show for another year! How awesome is that!!! 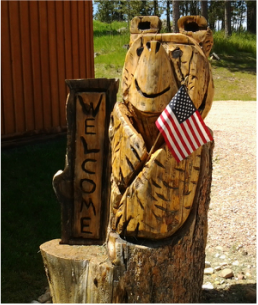 ​Due to the generosity of Dave Hanson, a local Custer, SD artist, a hand carved "Welcome Bear" greets each family as they arrive at the cabin. 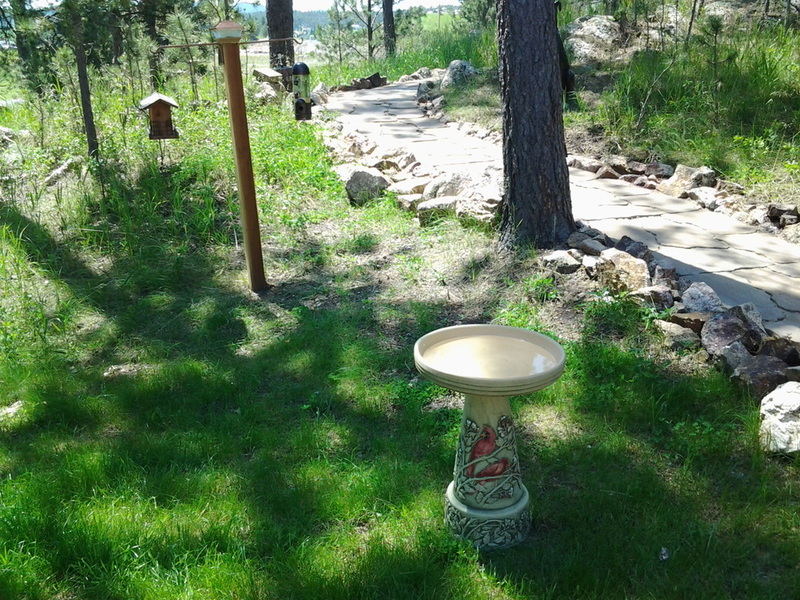 Many of our wounded veterans and families enjoy watching birds splash in the bird baths donated by Helen Flora of Custer, SD. Bird feeders and bird food was donated in memory of Leonard Wood. Leonard enjoyed watching and learning about the many birds in the Black Hills. Oonaugh Wood also donated several educational bird books for the cabin.